Harrison Western was contracted to construct a 1,214’ decline/slope measuring 23’ wide by 12.75’ entry height at -33% (-18 degrees) grade. 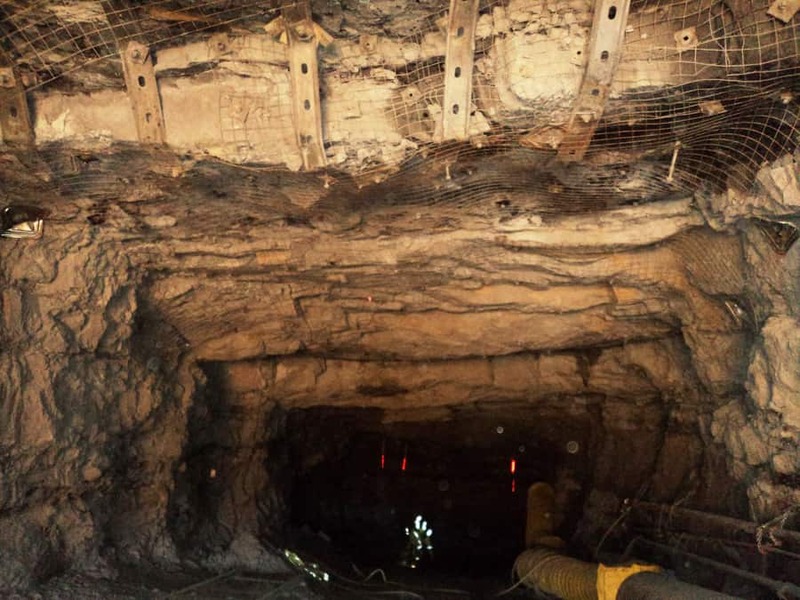 The project scope included highwall stabilization, portal excavation through 40’ of incompetent material, slope development using drill-blast-muck method, installation of a concrete invert, and construction of concrete portal canopy. 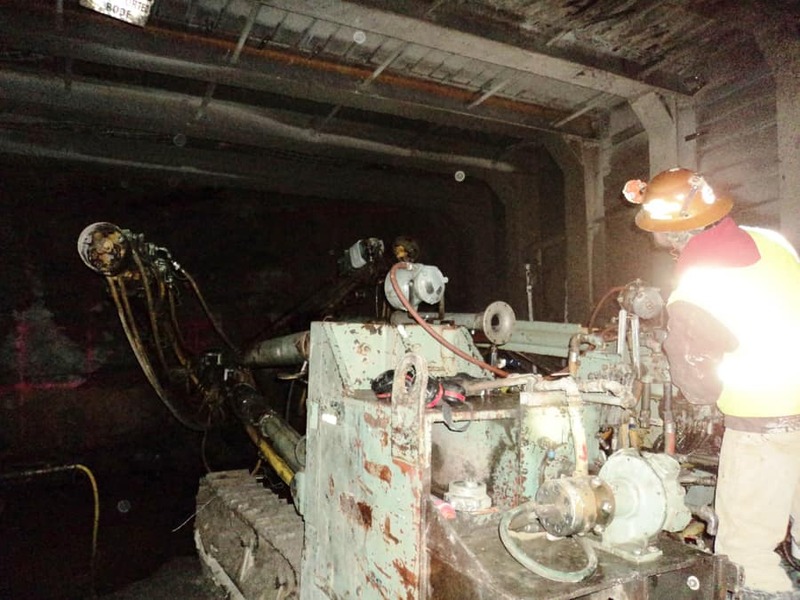 Compliance with coal mine regulations required the use of permissible equipment and modified blasting methods. 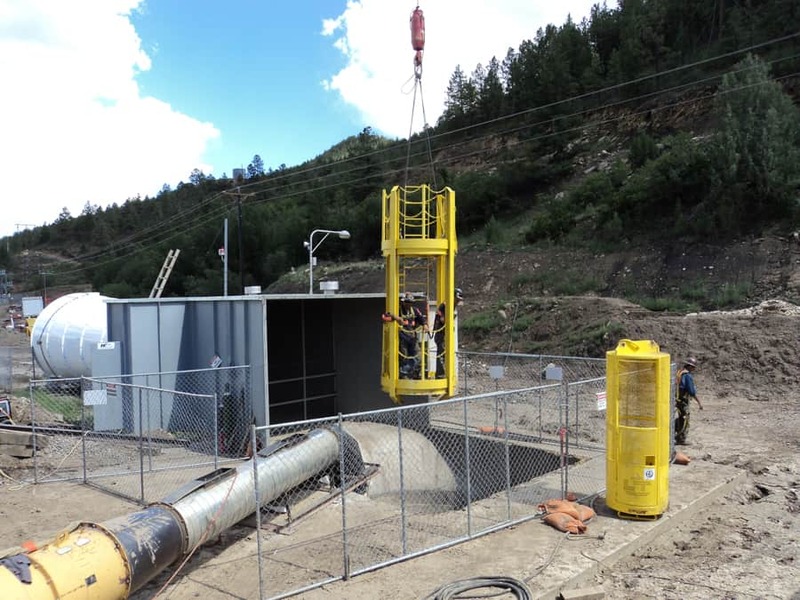 The project team overcame many logistical challenges in staging and executing the project on an extremely tight and difficult to access site adjacent to historic landmarks and environmentally sensitive areas in a high alpine environment. 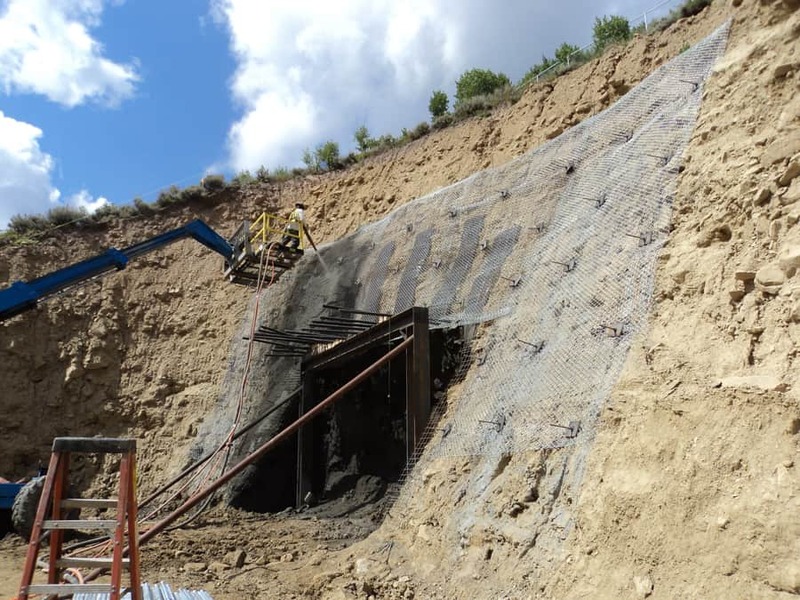 The steepness of the slope also presented many constructability challenges and unique safety considerations which were addressed through the use of specialized equipment and by employing rigorous safety procedures.